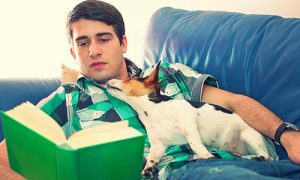 It’s no secret that university students deal with the pressure midterms and finals in different ways, but have you heard of using dogs to ease college stress? In fact, as much as 11% of all college students in the United States are diagnosed or treated with anxiety and nearly 10% are treated or diagnosed with depression. Rather than funnel more students into overworked medical centers, university campuses are using dog therapy because of its effectiveness and low costs. 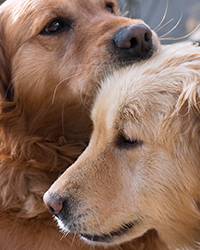 Dogs can ease stress, anxiety, and even sadness many people face in their everyday lives. Researchers agree that simply the act of petting a dog decreases blood pressure in humans. Researchers also have found that petting or playing with dogs helps level out a person’s stress hormones, raising the bodily levels of stress-reducing hormone oxytocin and lowering levels of the stress hormone cortisol. 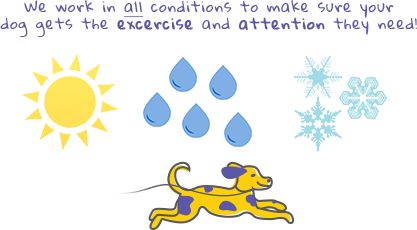 Additionally, other studies have found a number of physiological benefits to owning dogs and playing with them. In some instances, universities have partnered with local animal shelters and volunteer organizations around the country to arrange playtimes when dogs and stressed out students can meet and mutually benefit. Often, shelters need to train their dogs with human interaction and socializing with university students can help the dogs just as much as having a therapy dog can help the students. Some colleges organize “puppy rooms” for students to meet with dogs and decrease their stress levels before a big test or term paper. Dogs just love attention and affection! University dog therapy programs have already shown positive results for students across North America. As more universities realize the benefits and (perhaps most importantly for college administrations) cost-effectiveness of providing their students with a friendly dog or two to pet and play with, more may follow suit. If you ask a dog owner, most would swear by the healing properties of add a furry friend to their family. Now, college students can experience the many benefits of interacting with dogs to get them through some of their most stressful times in college. Sometimes all people need is a bit of extra love in their life, and that’s what dogs can provide. Dogs need human affection and attention as well to help them with their lives. It’s a win-win.